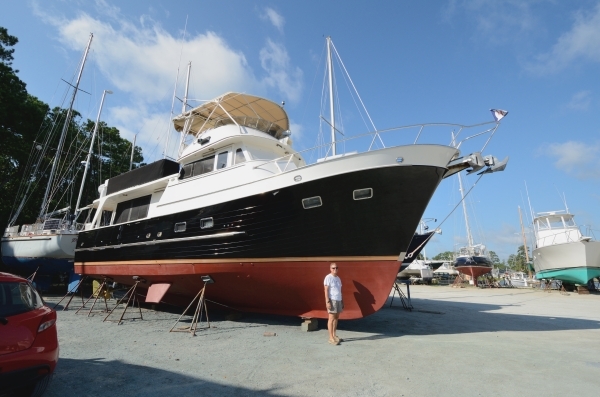 ADVENTURES is a DeFever 49 Raised Pilothouse – a full-displacement ocean-capable recreational trawler, designed by Arthur DeFever and built in Taiwan at the Sen Koh yard. 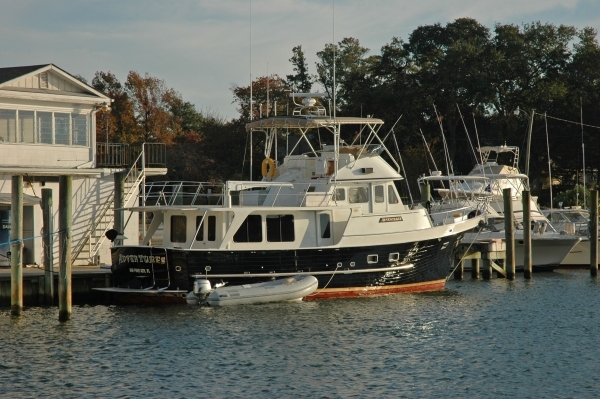 We own a 1988 boat, distinctive with her black hull. We bought her in the Fall of 2002 and we are the 4th owner. We’ve been living aboard her full-time since 2004, and cruising full-time since 2007. Over the years we’ve made a number of upgrades to the boat, and those projects are described in other articles.